Photo submitted by Jackee Batanda. Meet Jackee Batanda. 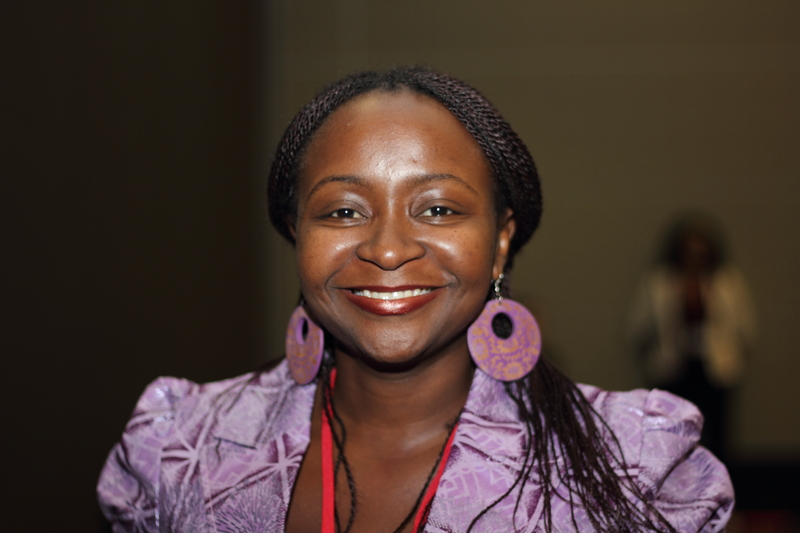 The London Times headlined her among “19 women shaping the future of Africa.” She’s an editor for the Global Press Institute, and a research and writing fellow at the African Centre for Migration and Society (ACMS) at the University of the Witwatersrand in Johannesburg, South Africa. Her work has appeared in the New York Times, GlobalPost, and countless other internationally renowned publications. Recently, she was the IWMF Elizabeth Neuffer Fellow at the Centre for International Studies, Massachusetts Institute of Technology (MIT). Photo by Jackee Batanda. 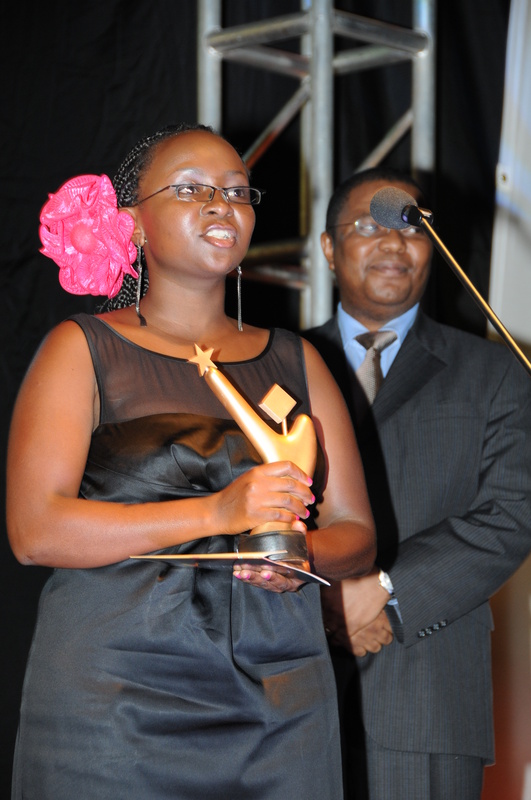 Captures Batanda as the “2010 Young Achievers Award” recipient. Tell me about growing up in Uganda. Can you share a favorite childhood memory or activity that is unique to Uganda? 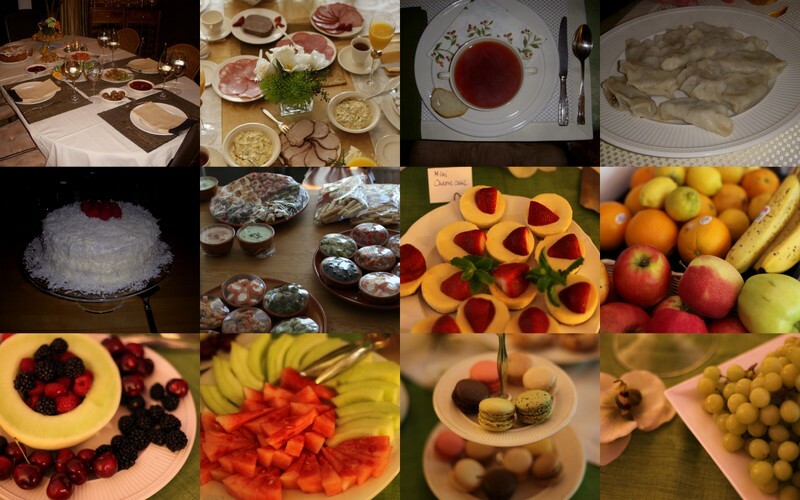 I grew up in a large family, and there was always extended family around. It was a typical Ugandan childhood, where you lived with relatives. The house was always full at all times. It was exciting interacting with all the cousins and learning new things. I remember at the time in the early eighties when few families owned colored televisions, our neighbors who had recently moved into the house right behind ours had one. It was from their home that I was introduced to the Muppet Show and spent lots of afternoons watching movies. This was 1986 and things were scarce. But being children, we always found ways to entertain ourselves, between climbing the guava and frangipani trees, to playing on the slide at the neighbor home. Some afternoons we spent listening to ABBA on the gramophone. We also played a lot. We loved the game of dodge ball and another one we called dool. It was a popular game with Ugandan children. We dug small holes in the ground, and then got seeds of the candlenut tree. It is locally knows as Kabakanjagala (the king loves me). we put the seed to our thumb and let go aiming to hit in the hole. It was a lot like trying to send a pool ball in the hole or the golf ball, only we used our hands. The more direct hits you got, the more points you got. I also loved reading a lot. There were many books at home. My elder siblings studied literature so I honed my reading skills on their literature books. Uganda is a relatively “young” country having gained its independence in 1962 from Britain. Is there a sense of nationalism among Ugandans? I do not speak for many Ugandans. However, my peers are constantly questioning the whole nationalism issue in the country. I, like many of them, am upset and disgruntled with how things are moving. My concern is how can you talk about nationalism and love for a country, when things are collapsing. When most news we hear is of the different corruption scandals rocking the government. At the same time, we feel strongly about our country, and want to make a contribution. In my case, it is through writing and the different platforms I get. I have also worked with teenagers around the country, through publication of a newsletter that engaged them in peace and justice. It was amazing to see how politically aware the young people are. It gave me hope. Hope is what we need and it keeps us going. 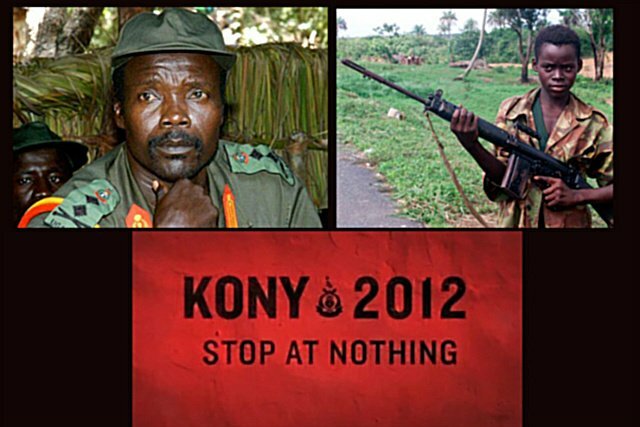 Joseph Kony. Photo from The Washington Times. Do Joseph Kony’s influence and the power of the militant Lord’s Resistance Army (LRA) intimidate you? Yes, the LRA is a rebel group that has committed atrocities within the great lakes region. It has done so with the complacency of the world. At the height of the rebellion, the world watched on as children were abducted, and millions displaced into camps. The parliament moved to name the region a disaster area so that the international community could intervene. This move was blocked. In the end, thousands dead, childhoods were stolen, and the effects go on. How can you rectify human rights abuses that have already happened? I believe in making sure that those responsible, face justice. Without a change of guard there can be no change in respect of political and human rights. Images of Africa often depict extreme poverty and effects of malnutrition or disease (though Uganda is praised for its fight against HIV/AIDS). How can this one-sided view be combated? My point is also until our leaders start looking at the best interests of their people, these images will continue. I mean the media portrayal is true. So, I think we as Africans need to start challenging our leaders more. Of course, the good news hardly gets airplay in the West. And we have to find ways of getting the positive stories out there. I can see a shift in international media looking at positive stories from Africa. CNN, Inside Africa is one, example. The BBC has re-launched a station with focus on Africa and of course China has launched its television network and focuses on the positive side of Africa. So with time, these stories will get out. More and more. I am, however, concerned that only the good stories are getting out and stifling the ones of human rights violations might do the people harm. So the challenge is for us to grow a critical mass that demands more of our leaders. I mean, how many times do you see leaders from third world countries flying to the West and using the same hospital that Western citizens use, yet the health system in their own countries is in shambles? During the week, a Kenyan newspaper released reports of how much money from African countries is banked in Switzerland. Most of this money has mostly be gotten illicitly and belongs to those in the political class and their close counterparts. I would love to see these assets frozen and eventually channeled back to the respective countries, then those in power would know that stealing from their people to enrich themselves does not really pay off. But what has happened, the Swiss banks continue receiving this money, and the people in the affected countries continue without basic needs. So we need to stop saying the Western portrayal is bad. We need to look at how we can change this. You were in the U.S. for some time, did you notice major cultural differences or similarities between the U.S. & Uganda? Of course, the U.S. and Uganda are miles apart. I loved how everything was so structured and worked on time. Of course, I missed the hustle and bustle of Uganda. The noise from the honking of the traffic. The dust and all those things that remind me of home. I was impressed with the level of professionalism in the Americans I met. I realized that Americans really work very hard. They value their time and are respectful of it. But this is just one side of America. During my time, I was based in Cambridge in Boston, and was at the IVY league universities, so I cannot use this experience to be fully representative of all of America. Of course, I was shocked to see the number of homeless people on American streets. What were your own perceptions of America before you arrived? Which held true? Do you believe Americans value their personal freedoms (enough)? I need to clarify that this was not my first visit to America. We know about America through Hollywood. Americans take their personal freedoms for granted and do not realize just how privileged they are. They also do not realize the importance their vote makes. This is an election year in the U.S., and they have the power to affect the world, just by their vote. It is kind of a scary position to be in when you look at it critically. But most of them just do not realize their privilege. Have you ever met anyone who had grave misconceptions about Uganda? What were they? They just do not know about Uganda. The best response would be the whole excitement by KONY2012 and how quickly everyone jumped onto Twitter, etc., with the belief that Uganda was at war. How do you envision your future ‘ideal’ Uganda? All I want now for Uganda is a place where the majority people have access to good quality healthcare, education and infrastructure. Where divergent ideas are embraced and we can wholly practice the democracy thing more seriously, not just on paper. Of course for a self-sufficient Uganda, that does not rely on donor aid and leaders deeply committed to the good of the nation. Where the arts thrive, the sciences are greatly invested in. That is what I dream about every day I hit the pillow and when I wake up. I just say, wouldn’t it be lovely? To follow Jackee or read her stories, go to http://jackeebatanda.wordpress.com/. She also tweets, @JackeeBatanda. Thank you for the reblog and for talking to me, Jackee! Reblogged this on Jackee Budesta Batanda.